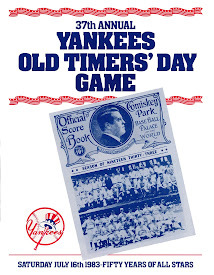 Old-Timer's Day is a long tradition in baseball, going back to "Lou Gehrig Appreciation Day" on July 4, 1939, when the 1927 Yankees were reunited to watch Lou Gehrig be honored. 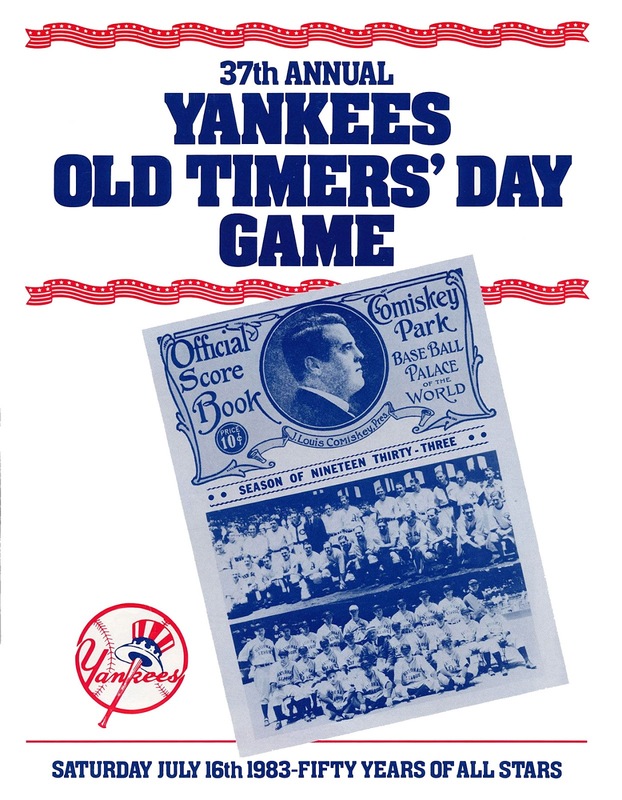 The pinstripers made it an annual event in 1947, and has been a part of baseball's culture ever since. So what do you do if your major league team isn't old enough to have Old Timers? You reach back in the city's baseball history. And that's exactly what happened in Milwaukee in 1960 when the Braves held their first Old-Timers game at County Stadium. 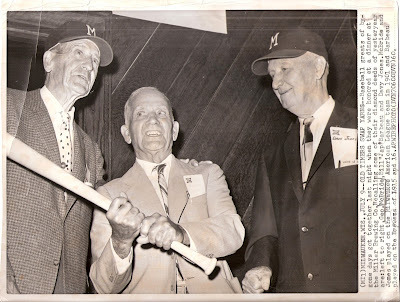 Many former Brewers were brought back to greet the crowd, and three of them were photographed at a dinner in their honor the night before. MILWAUKEE, WIS., JULY 9 -- OLD TIMERS SWAP YARNS -- Baseball greats of by-gone days got together last night when they were honored at a dinner at the Miller Brewing Co. Recalling some of their diamond deeds of yesteryear are: left to right, Geo. McBride, Bill "Jap" Barbeau and Davy Jones. McBride and Jones played on the Milwaukee American League team in 1901 and Barbeau played on the Brewers of 1915 and 16. The Miller Inn is well-known to anyone who has taken the Miller Brewery tour; it's the last stop, where you can sample some of the wares you saw being made. It still has the distinctive diagonal wood paneling. George McBride was a former shortstop who only had a brief tenure with the Brews. Born in the Cream City in 1880, he made his debut in September of 1901 with the American League Brewers, collecting three appearances. The team moved to St. Louis after the season ended, but McBride he turned down the opportunity to stay with them, choosing instead to sign with the new American Association club. 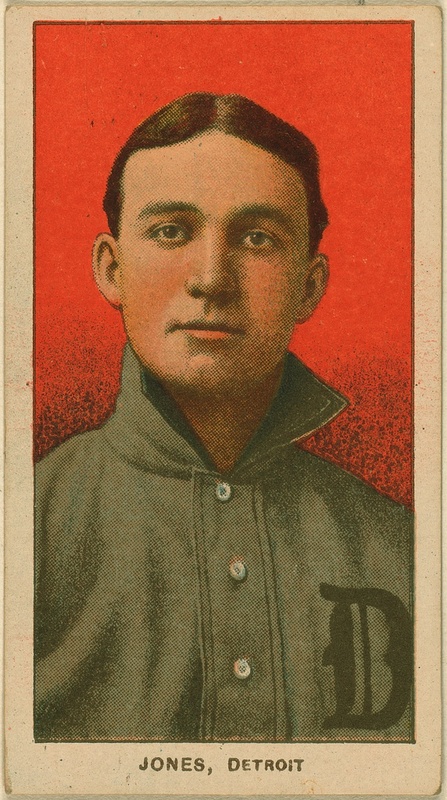 McBride went back to the majors in 1905. 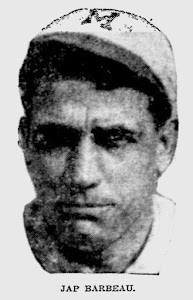 After short stints with the Pirates and Cardinals, he finally found a home with the Washington Senators in 1908 and from that point on he would be found at Griffith Stadium. As his career wound down, he began to transition into coaching under the watchful eye of Clark Griffith himself. From 1917 through 1920 made only a handful of appearances, served mostly as an instructor, base coach and fill-in manager when Griffith was traveling on scouting missions. In 1921 Griffith appointed McBride Washington's manager, but his tenure was short-lived. On July 27, just over halfway through the season, he was struck in the head by a thrown ball, suffering a concussion and spending the following week confined to bed. McBride returned to the dugout on August 4, but continued to be afflicted with dizziness and fainting spells. He resigned his position the following December and, turning down Griffith's offer of a scouting job, returned to his hometown as a "man of leisure". McBride became active in the Milwaukee Elks club after moving back to Milwaukee. In 1935, he was selected to chair the Elks' annual pre-season dinner honoring the Brewers, a post he held well into the Milwaukee Braves era. He passed away in 1973. At least into the 1990s, the Elks presented an athletic scholarship known as the "George McBride Award" to a Milwaukee-area high school athlete. 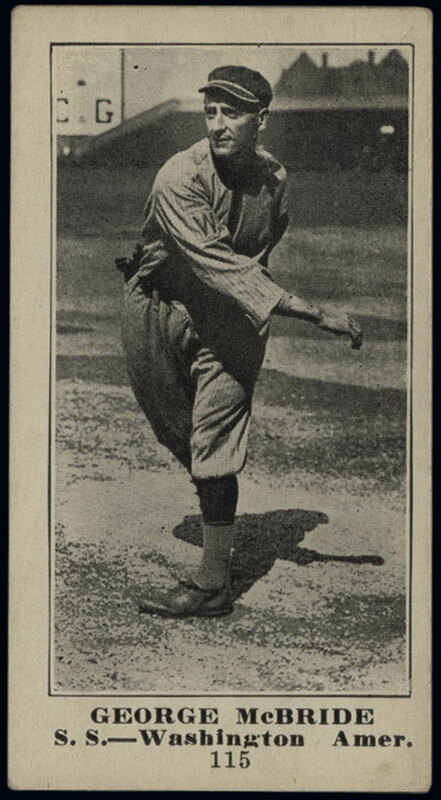 Third baseman Bill "Jap" Barbeau played for the Brewers from 1914 and 1915 and then again in 1917 and 1918. Although the majority of his fourteen-year career was spent in the minors, he did make it to the Show for short stints in Cleveland, Pittsburgh and St. Louis. The New York City native took to Milwaukee; he led the Brewers' off-season barnstorming team for years. I don't know where his colorful nickname came from, although I fear it may have been a reference to his stature; he was famously the shortest Brewer on the pennant-winning 1914 club. After leaving the Brewers, Barbeau finished his career with short stints in St Paul and Omaha, and then retired to Milwaukee. He was active as a manager, coach and occasional player in the local semi-pro baseball scene for twenty years, which brought him to Borchert Field with some regularity. He died in 1969. When the Brewers moved to St. Louis after the 1901 season, Jones took advantage of a clause in his AL contract which prevented transferring a player to a new city without his consent. The young lawyer signed with Chicago, which still owned his rights within organized baseball. Later that winter he jumped back to St. Louis, but played in only 15 games in 1902 before jumping back to Chicago after Orphans owner James Hart offered Davy a fifty percent raise and $500 signing bonus. All told, Jones had jumped four different contracts in a nine-month span. Jones left his Browns teammates without a word on the morning of May 14 and was patrolling centerfield for the Cubs that afternoon. Though a major leaguer for barely a month all told, Davy was quickly gaining a reputation for jumping contracts whenever a better offer came along. 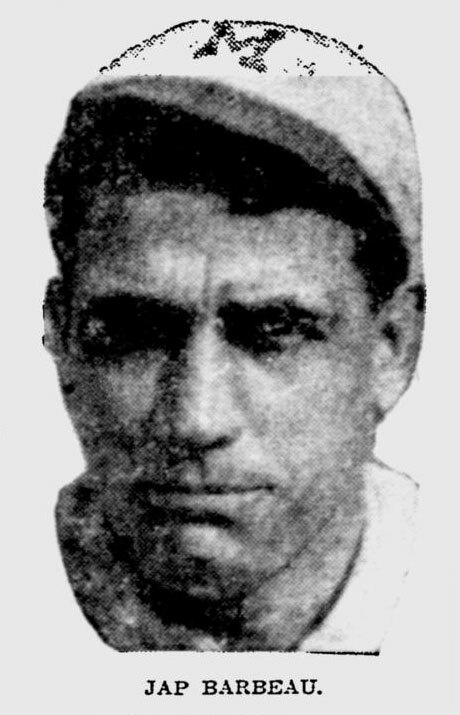 The Chicago Tribune referred to him as a "rubber-leg," and Chicago fans even quit teasing fellow outfielder Jimmy Slagle, another noted jumper, out of deference to Jones. As Jones himself said later, "a contract didn't mean anything in those days." 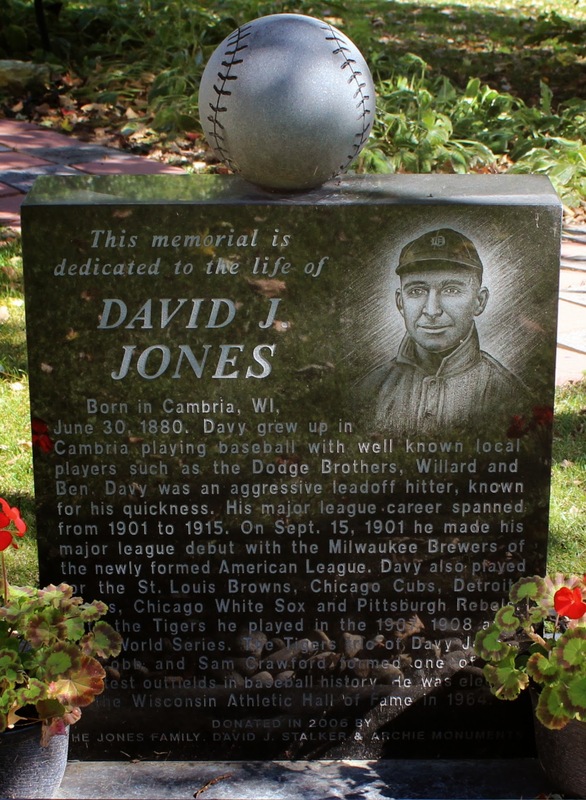 Jones broke his leg in a home-plate collision on July 4, 1904, and when he struggled upon returning to the lineup in mid-August the Cubs sold him to the Minneapolis Millers. He blossomed in Minneapolis, catching the eye of scouts for the Detroit Tigers. 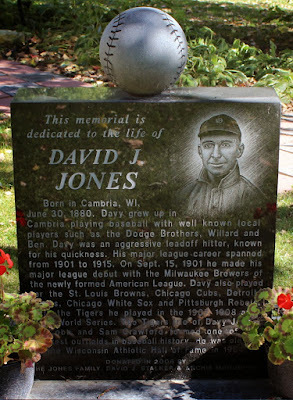 Jones started in left field for Detroit, opposite Ty Cobb who was then playing in right. Jones became the Georgia Peach's best friend on the Tigers, often having to relay signals on the field from teammates with whom Cobb was not on speaking terms. He also claimed to have encouraged Cobb to invest in the stock market; Cobb put his money in a local business—Coca-Cola—and made millions. He also supported Cobb in one of the man's darkest hours. On May 15, 1912, the Tigers were playing the Highlanders at the Polo Grounds in upper Manhattan. Cobb was heckled mercilessly by a New York fan, and when the taunts turned racist, Cobb hurled himself into the stands and fought with the man. Jones was one of a few Tigers to follow Cobb into the seats, but was far more helpful in the aftermath than he was in the melee. American League president Ban Johnson suspended Cobb immediately and fined him $500. 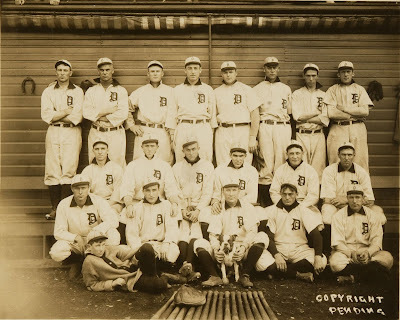 In response, the Tigers went on strike and refused to play their next game; Cobb might not have been personally popular, but he was their star player. Drawing on his legal training, Jones represented the players at a meeting with Johnson and the other league owners. He successfully argued that the suspension was unfair and that the players deserved protection while on the field. 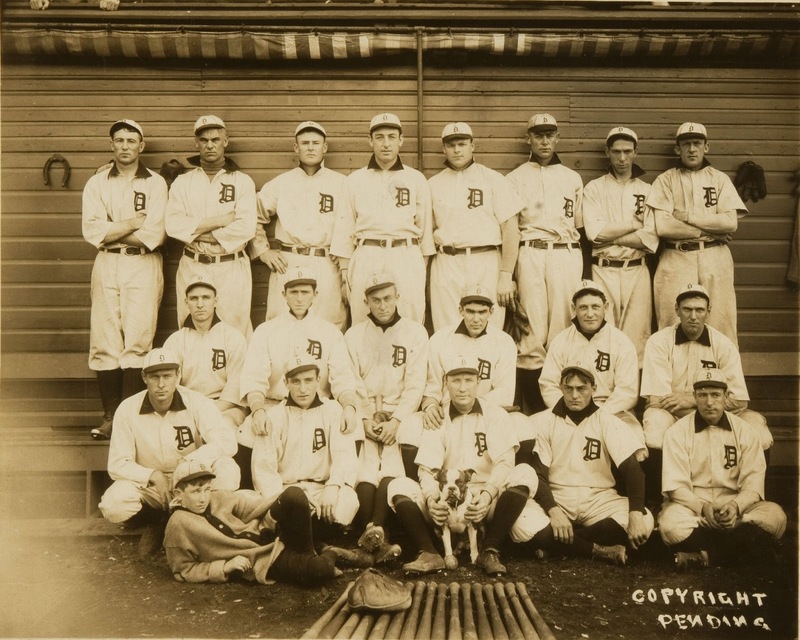 The fine and suspension were lifted, the Tigers were back in uniform, and Jones would later describe this as a formative event in the long struggle to unionize the sport. While still an active player, Jones bought a drugstore in Detroit, and worked it in the offseason. He retired from playing in 1913 and went to work full-time as a druggist. When it came time to retire from business as well, he and his wife moved back to the Milwaukee area. He died in 1972. A memorial to Jones was erected in 2006 on the grounds of the Cambria-Friesland Historical Society in his native Cambria, Wisconsin. Three very interesting men, with long careers in their chosen sport. I would love to know what they talked about on that evening of July 9, 1960. Good for the Braves, to recognize and embrace the long history of baseball in Milwaukee.